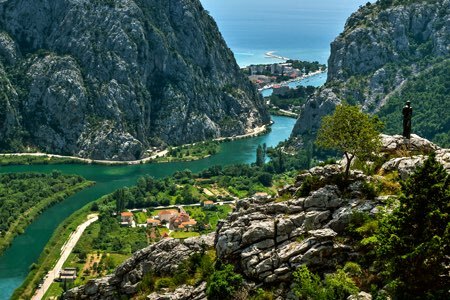 The view of the town of Omiš, nested at the entrance of the magnificent canyon of the River Cetina, is like a dramatic scene from some great film. 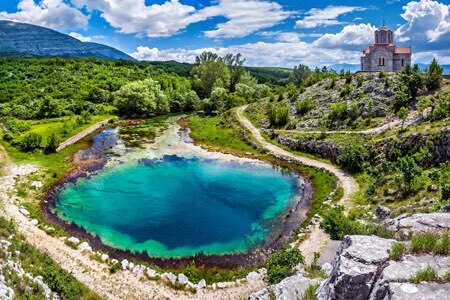 No less amazing is its past, full of the remnants of its ancient predecessor Oneum, exciting stories about the traditions of the Poljica and legends of Omiš pirates and their 300-year-long rule. These stories would be hard to believe if it wasn’t for the rich heritage that the people of Omiš still cherish and nurture. From the well-preserved fortresses Mirabela and Fortica one can see the surroundings once observed by the vigilant eye of the pirates. 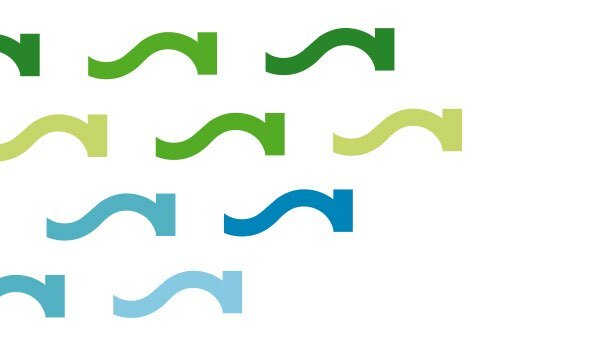 Across the river, one can visit the Republic of Poljica that flourished as a democratic society in the same period. 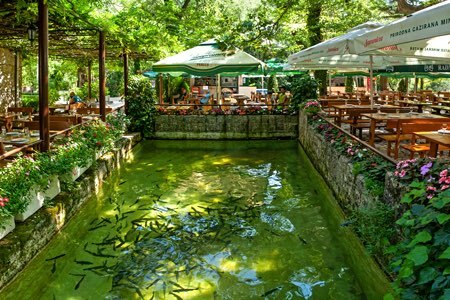 The authentic tastes of the area can nowadays be enjoyed in Radmanove mlinice and Kaštil Slanica restaurants on the river bank. 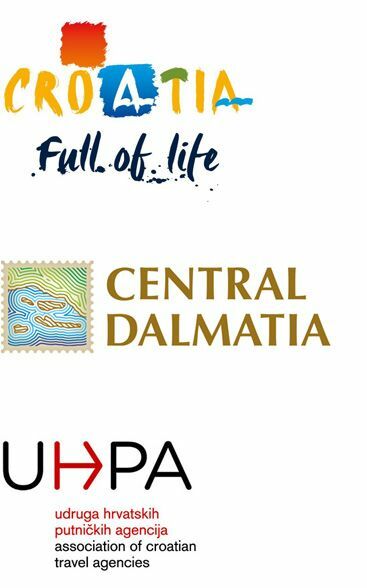 In addition to its pirate past, Omiš is known as the cradle of the klapa multipart-singing typical for Dalmatia and protected by UNESCO. 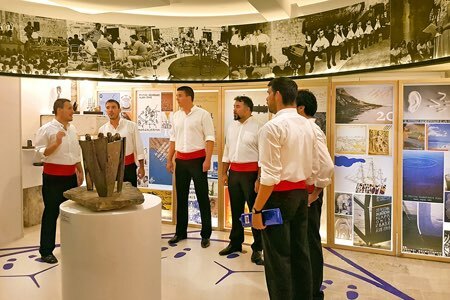 Unlike some customs of the old that can only be seen on rare occasions, the a capella klapa singing is still very alive in Omiš – you can hear it in the streets, in taverns and at the Omiš Festival of the Dalmatian Klapa that has been taking place for half a century now. 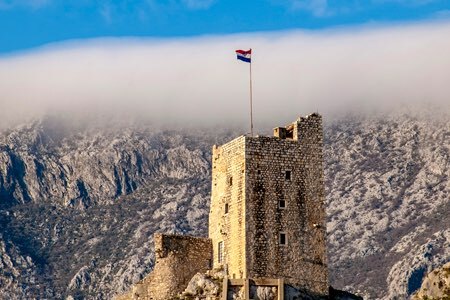 Diversity and contrasts make Omiš a unique and truly special destination. 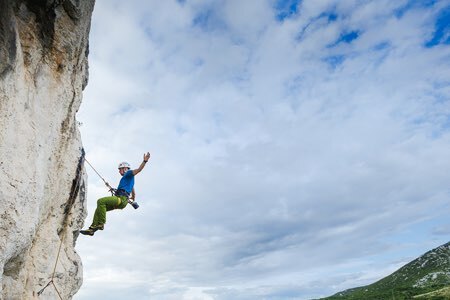 Whether you are an adventurous or relaxed type, you will find something for yourself in this small town on the Adriatic coast. 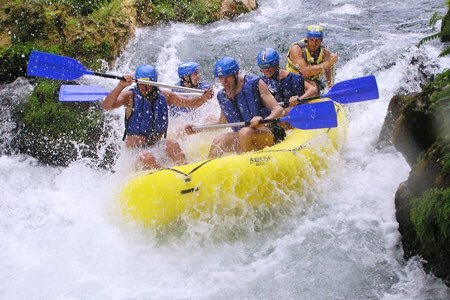 The canyon of the River Cetina and its protected nature boast diverse flora and fauna, offering numerous opportunities for active vacation, such as hiking, cycling, rafting, kayaking, zip lining and free climbing. At the same time, numerous sandy and gravel beaches and the crystal–clear sea are a great place for relaxing at the rhythmical sound of waves. But regardless of how dynamic their day has been, everyone will certainly enjoy relaxing with a glass of excellent and autochthonous Dalmatian wine Pribidrag, almost forgotten in Croatia until recently, but throughout the world it is known as Zinfandel. 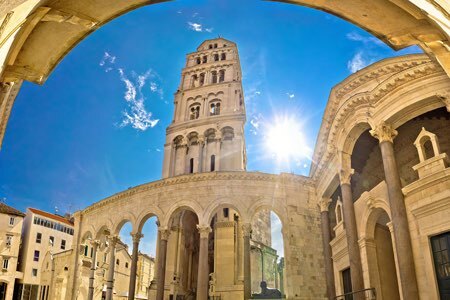 As the biggest Dalmatian city, Split is an embodiment of the life in Dalmatia: the rhythm and energy of the Mediterranean mentality can be felt in the flagstone streets lined with cafés, restaurants and boutiques.